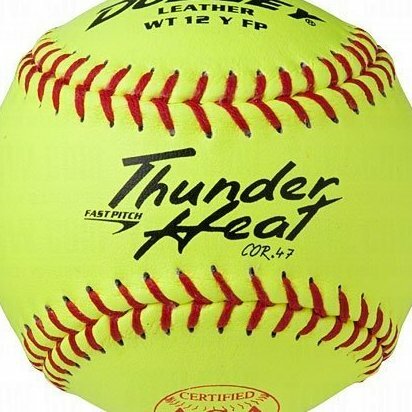 ASA Thunder Heat Fast Pitch Softball. Leather Cover, Yellow. 12", COR: .47, Compression: 375 lbs. Poly Center. Sold as a dozen.